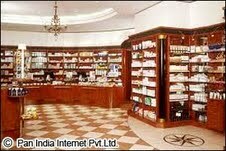 There are different medicines for different ailments and diseases. But one thing that stands true is that prevention is better than cure. Medicines are made in laboratories generally from substances found in nature. Only those medicines should be taken which are prescribed by a medical practitioner and doctor. When taking antibiotics, the entire course should be taken and the patient should not stop having antibiotics midway. Having too many medicines can be harmful as they could lead to various side effects. Making food your medicine is an easy way to keep good health. Having plenty of water, fresh fruits and green leafy vegetables will bring good health, positivity and happiness in whatever we do.